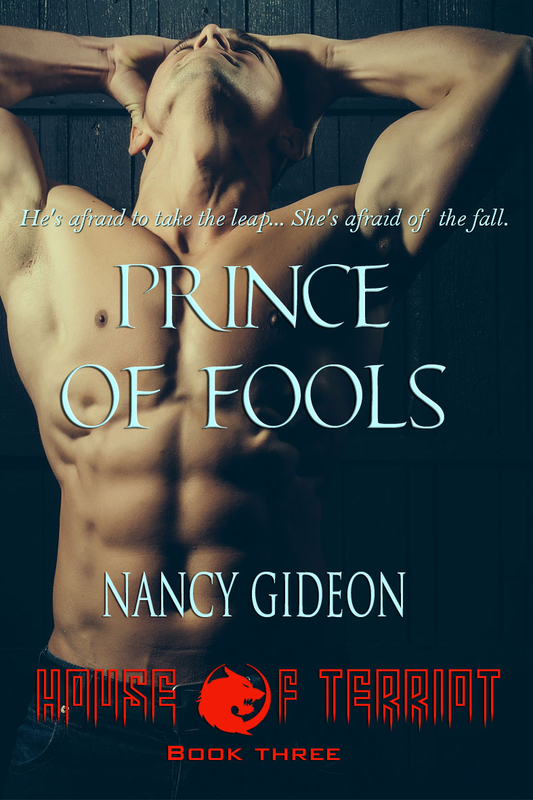 Excerpt from PRINCE OF FOOLS . . .
Amber buffed the bar top to a mirror-like shine, motions brisk, leaning into the job with a fierce concentration. A thankless job because no matter how glossy she made it, the underlying scars and countless rings would soon reappear to spoil the perfect look she tried to maintain. Frederick Terriot was like that surface. Though dazzled by the shine, she knew what lay beneath. No matter how hard she worked to change that fact, the damage had already been done, the flaws she tried to overlook forever marring what she longed to embrace. And that would never, ever change, no matter what she hoped, no matter what those soft, seducing lips might promise. 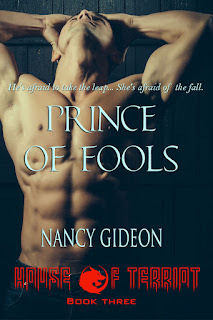 Nancy Gideon is the award-winning bestseller of over 60 romances ranging from historical, regency and series contemporary suspense to dark paranormal, with a couple of horror screenplays tossed into the mix, and is currently testing the “Hybrid author” waters. Under her own name, she’s a top 100 Amazon bestseller with her “By Moonlight” dark shape-shifter series and is also listed on the Internet Movie Database (IMDB) for collaborating on Indie horror films In the Woods and Savage with screenwriting and ADR script credits, and a small role as “bar extra” she likes to boast about. Writing as Dana Ransom, she’s a “Career Achievement for Historical Adventure” award winner with books published in Romanian, Italian, Russian, Danish, Dutch, Portuguese, French, German, Icelandic and Chinese. Writing historicals as Rosalyn West, she’s a HOLT Medallion winner and she’s also penned regencies as Lauren Giddings. Many of her older titles (from the ‘80s and ‘90s) have been or are soon being reissued. A prolific writer, Nancy attributes her creative output, which once peaked at seven novels in one year, to her love of history and a gift for storytelling, also crediting a background in journalism and OCD. She’s up every weekday at 4:30 a.m. to get in computer time before heading to her full-time job as a legal assistant in Central Michigan, and feeds a Netflix addiction along with all things fur, fin and fowl. Thanks for hosting me and my PRINCE! !